That’s right, I’m stealing Alethea’s day! But before you get your fins in a bunch, don’t worry. It’s all to talk about our lovely, amazing, sparkly, Princess, massively talented, beautiful Mermaid Alethea. 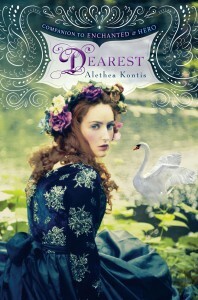 And bonus, she has a new book out today called Dearest, the 3rd book in the Woodcutter series, and it’s amazeballs! I’m not just saying that because she was my crazy-fun roommate in San Antonio who encouraged me to put whipped cream in my coffee every morning or make waffles in the shape of Texas. So read on to learn more about our very own Alethea, what she’d make me for dinner, how she’s taking my dog to Hawaii, and which noise she really, really hates. (It’s a good one!) Go Alethea! When I think of fairy tales, I generally think of the Disney version of said fairy tale, which may or may not be an accurate depiction of the original story. What Disney adaptation of a fairy tale is your favorite? Everyone always expects me to say Beauty & the Beast because I look like Belle…and act like Belle…but my answer to this question has to be The Little Mermaid. I loved this Hans Christian Andersen fairy tale so much as a child. I would read it…and cry…and then read it again. When I found out Disney was adapting “The Little Mermaid,” my eyes were like saucers. I mean…SHE DIES. Can they do that?!? But Disney gave that mermaid what we’d all been wishing for her for 150 years: a happy ending. It’s a random Sunday night and I show up at your house. What are you making me for dinner? If you caught me at the last minute, I’d make you Greek Chicken & Potatoes. It’s a staple of the Kontis house–a favorite, and easy to make. If I had all the ingredients and all the time, I’d make you my mother’s moussaka. Because it’s possibly my favorite dish ever. And if you don’t care for eggplant, I’ll do the Thea Ana variation that’s made with only potatoes. You travel. A lot! What one place surprised you the most? And in what way? There was this one place, at my horrid ex-fiance’s mother’s house in Newcastle, England. The ex was horrid but his mother was lovely, as was her husband (the ex’s stepfather) who, in his retirement, did things like climb mountains and grow things. There was a stone wall beside their house, and through the archway I found the most amazing garden. I walked among the flowers and plants, barefoot in the thick grass. Standing there on the top of that hill, with the wind in my hair, I had a moment of complete serenity. It occurred to me that this was the most beautiful place I had ever been to on the planet. And then the ex called me inside and ordered me to wipe my feet off so I didn’t get grass stains on his mother’s white carpet. Speaking of traveling… I’m very busy reading Dearest and my dog Harry needs to go for a walk so you’re going to have to help me out. He loves beaches. Where in the world are you taking him? Let’s go to Hawaii. I’ve always wanted to go, and I have some friends there I’d love to visit! Give me one Easter Egg from Dearest. All the Kates in Dearest are named after my dear friend (and award-winning voice actress) Kate Baker, because I was writing that scene on her birthday. As always, I have to go here. I love the ten questions that James Lipton asks at the end of every episode of Inside the Actor’s Studio. Your turn. What profession other than your own would you like to attempt? — Marine Chemist. It’s what I studied in college. I miss being a genius. I have always said that when I die, I wish to see a photo album of all the pictures where I appear somewhere in the background. Families on vacation, strangers at conventions, random folks on the street. I’ve always been curious to know just how many people I might have known…how many lives I might have touched but for some twist of fate. 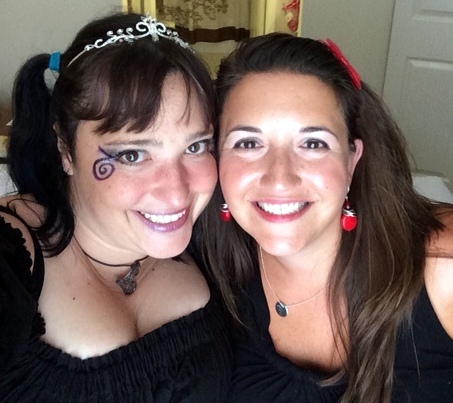 Alethea teaching Keri how to take a selfie at RWA 2014. WHY, KERRI MERMAID OF COURSE!!! Okay, I will alter that question because I’m not completely evil. [Shut up, peanut gallery!] Hollywood comes a-calling. Cast your Mermaid sisters in Enchanted, Hero, and Dearest. BEST INTERVIEW EVER! I should totally steal Alethea’s day more often. While I ponder doing that, make sure you check out Dearest, out today in hardcover and digital versions. Seriously, check it out. Do it! Or I’m sending you one of those exploding glitter boxes! 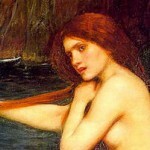 For more about Alethea, check out her website here. And to really stalk her, click the icons below. Prev Mermaids’ Favorite Fairy Tales Next Trust. Okay, I think Aunt Joy is WAY cool! Although, I may be jealous of Pintip and the Duke, being being Joy, you know how I am:)! Congratulations Alethea on your new release day!!!!!!! Aunt Rose Red…I’ll take it! All the best to you both! Great job, sisters! *Confetti and Whipped Cream!! Yeah, girl…that Earth Goddess Woman wields some SERIOUS power. She has got her stuff together, and she’s going to stand up to that evil sister Sorrow in a BIG way. SO YOU, Loni, with all your big plans happening! What a fun interview. I do NOT have 18 kids. lol. I never read LITTLE MERMAID. Shame on me! But I always loved to sing, “I want to be part of that worrrrrrrld!” I think all princesses should have a HEA. Super duper congrats on your book birthday, Alethea! How exciting! I can’t wait to read… And this was a super duper interview. Good job, Kerri! Still one of the best interviews on this blog tour, hands down. Srsly. Blithe and Bonny and Good and Gay…Alethea, I’m so touched you cast me as Sunday! As takeovers go, this was a home run, Miss Kerri Mermaid. I miss you so much… t’would be an honor to see your green, grass-stained footprints all over my floors rather than not see them at all. Wow! I get to be a character? A smart character? I’ll take it! Seriously, super interview, and congratulations on Dearest! Sell oodles of copies, and can I bring mine to Retreat so you can sign it?